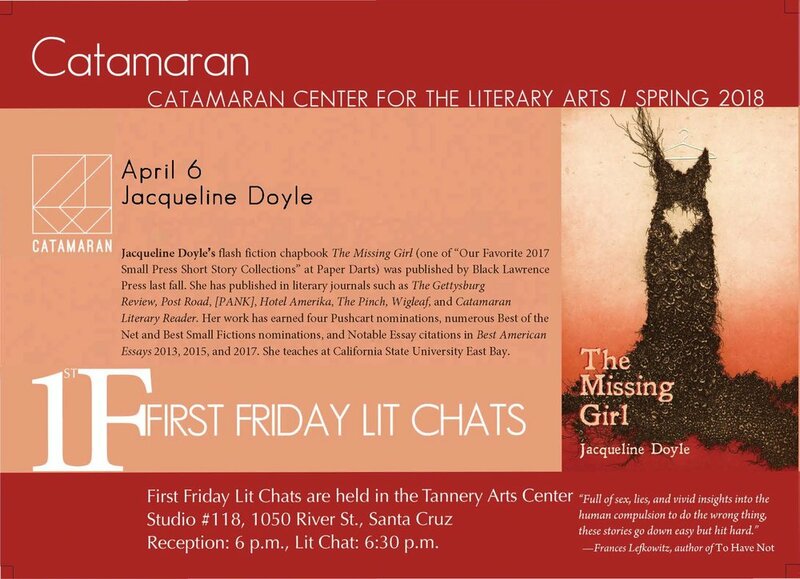 Join us on First Friday during open studios to meet Catamaran contributor and author Jacqueline Doyle. Join us on First Friday at the Tannery Arts Center in studio #118 to meet Catamaran contributor and author Jacqueline Doyle. We will host an author reception at 6:00 and an informal discussion with the author at 6:30 as she reads from her new book and talks about her writing process. Her books will be available for purchase. At 7:00 we will have a book signing.